DAVID VINER is a museums & heritage consultant, freelance curator and writer from his home in Cirencester. He has enjoyed a career in local government museums over 35 years, mostly in the Cotswolds but starting off (however briefly) in Dorset where his interest in the county’s roads and tracks was first encouraged. People with knowledge and experience proved very willing to share, not least Professor Ronald Good, whose magisterial The Old Roads of Dorset provided both challenge and inspiration. Whenever possible since then, visits to Dorset have included studies of the old routes. David is a Fellow of the Museums Association and the Society of Antiquaries and the author of a dozen books and photographic albums. He is Chairman of the Milestone Society, campaigning for the recording, conservation and enjoyment of roadside heritage across the United Kingdom, and jointly edits the Society’s journal, Milestones and Waymarkers. 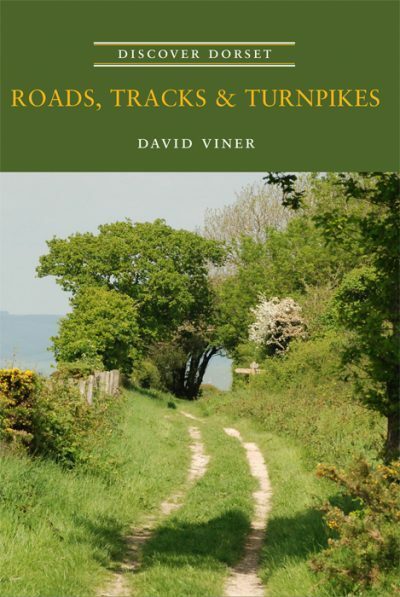 David’s wife, Linda, is the author of Lost Villages in the ‘Discover Dorset’ series.